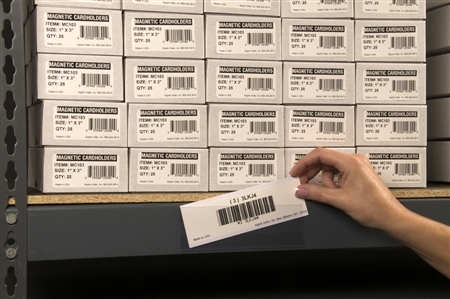 Open-Edge Top-Loader Label Holders - 50pk - Shelving, Inc.
Open-Edge Top-Loader Label Holders are a great way to label large amounts of product, or to organize an overly-cluttered area. These labels are easy to size and easy to install. Simply cut your label holder to your desired size, insert your label and you're good to go! 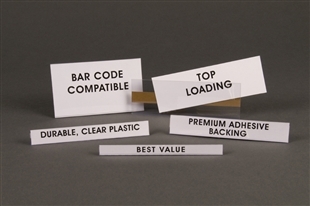 Open-Edge Top-Loader Label Holders are a great way to display large quantities of product. These label holders come in long strips that can be cut with scissors to fit any size label. The white paper inserts simply slide down into the holder and sit in place.